Victoria, BC based pop/rock band Fortune Killers (formerly Isobel Trigger) strikes you with their dynamic synth-scapes and high-voltage performances. With exotic vocals, soaring lead lines, and heart-thumping grooves, the band weaves a musical web that pulls your hips into a sultry sway. 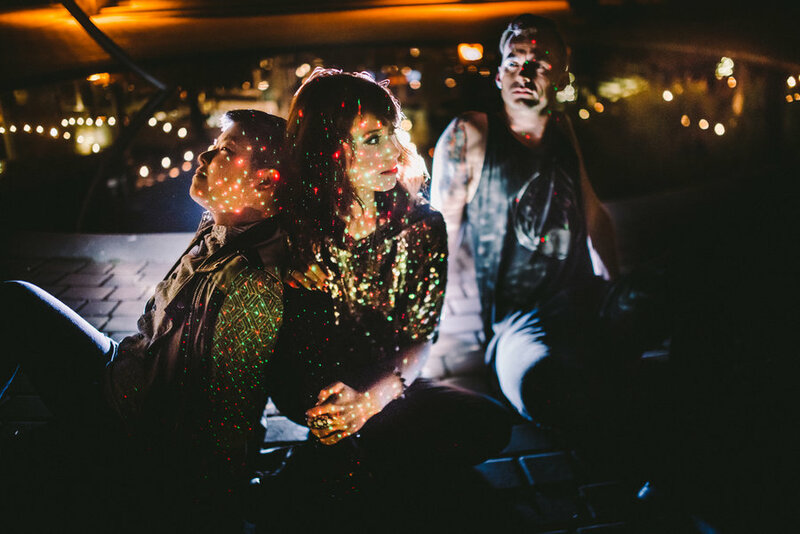 The lovechild of Lana Del Ray and Metric, Fortune Killers make glitter and grit collide. Their sound has been described as, “dance rock,” “power pop,” and, “the soundtrack to an alien abduction.” The band’s EP, Nocturnal, was released in August 2014 via Cordova Bay Records. Produced by Ryan Worsley (Dear Rouge) and Adam Sutherland (Acres of Lions, Vince Vaccaro), the EP features five original songs combining haunting vocals, dance beats and cosmic guitar riffs. Fortune Killers exists to perform. Described by Victoria Music Scene as “one of the most entertaining local bands to watch,” Fortune Killers is widely recognized as a band that “has to be experienced live to be fully appreciated” (Ride The Tempo). Since the release of Nocturnal, the band toured nationally with performances at Canadian Music Week, BreakOut West, and Rifflandia Music Festival, opening for Sam Roberts Band, The Pack A.D., and Head of The Herd.